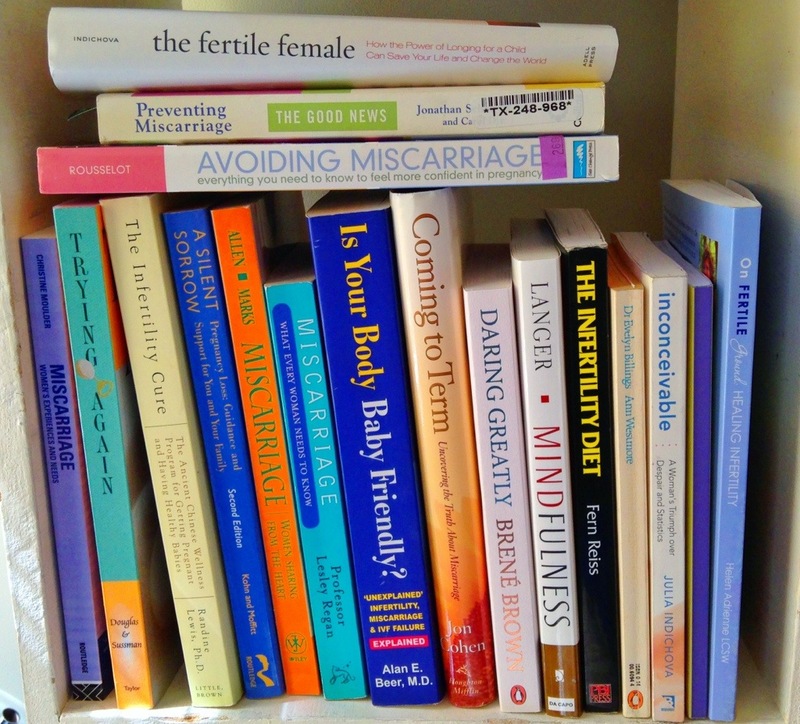 I think I’ve nearly bought every book on pregnancy loss that has been written. Information. Give it to me. I can’t know enough. I must absorb every scrap of knowledge in order to turn our luck around. Or so I think. I have written this as a post as well but as a way to remember all the books I have read to help me through this process I have decided to write them down here. Some of them were more beneficial to me than others. I bought this book when I was first accepted into St Mary’s Recurrent Miscarriage Clinic so I could understand their perspective. This book explains a lot from a clinical standpoint but doesn’t delve much into the emotional side of miscarriage. An empathetic and encouraging look at miscarriage. Covers immunological causes of miscarriage as well as more conventionally recognised causes. A Silent Sorrow. Pregnancy Loss : Guidance and Support for You and Your Family. I didn’t really connect with this book, I’m finding it hard to finish. It’s not a easy read but is a supportive resource. Heartbreaking. Full of stories from women suffering, I found this book difficult to read during my darkest moments. Shares a lot of women’s varying experiences with loss and has a good section on guidelines for good practice that are not put to use often enough. A good resource for the various causes and tests for pregnancy loss. Hate the title. Reviews all the causes of miscarriage and has a good section on the psychological impact of loss and how to rebuild confidence. A personal look at miscarriage but also follows the treatment by several consultants I’ve seen personally. Interesting. An amazing resource that made me feel empowered and aware and appreciative of my body. Can’t recommend it enough. A fascinating look at immunological aspect of miscarriage and infertility. Controversial within the medical community but hopeful for those of us looking for answers. Really interesting read for anyone who is interested in traditional Chinese medicine and fertility. A west meets east approach. Not a huge fan of this book. There have been so many progressions in fertility nutrition that makes this book now seem very out of date. A book purely about cervical fluid. Yup. A true gem. Was hard for me to follow at first but once I got the hang of the method it became the most reliable means to determine my fertile days. A great story of how one woman turned her luck around. I blame my juicing obsession on her. A brilliant little book jam packed with coping mechanisms and strategies. So glad this book entered my life. It helped me find a structured way to approaching our fertility journey and struggles with loss.